ACCV was founded in 2006 by the Australian Vidotto family after visiting Vietnam for a family vacation. Support for blind and visually impaired students to access education (English and IT). Supporting students from low-socio economic background to finish High School and University. Supporting families in poverty with medical bills for seriously ill children and to help provide a sustainable solution over time. 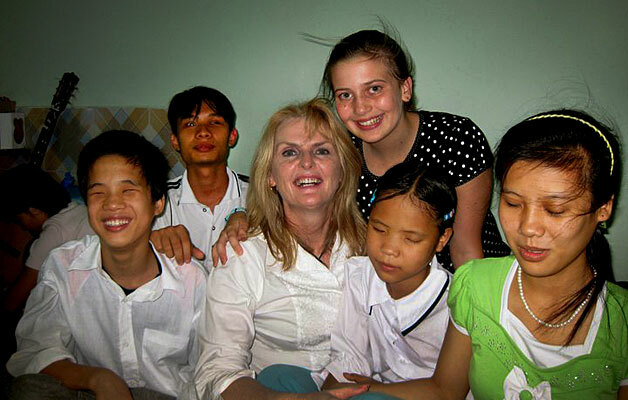 A new Service Learning group was established to enable UNIS Hanoi students to learn from this small NGO and to work with them using the Birthday Gift Funds to both provide support for medical care for seriously ill children and to develop a new programme with the charity to extend the impact of their support for blind children. This programme came to a close in 2016-2017 with ACCV's withdrawal from Vietnam. The remaining funds were reallocated to support the work of the Huong La Centre.